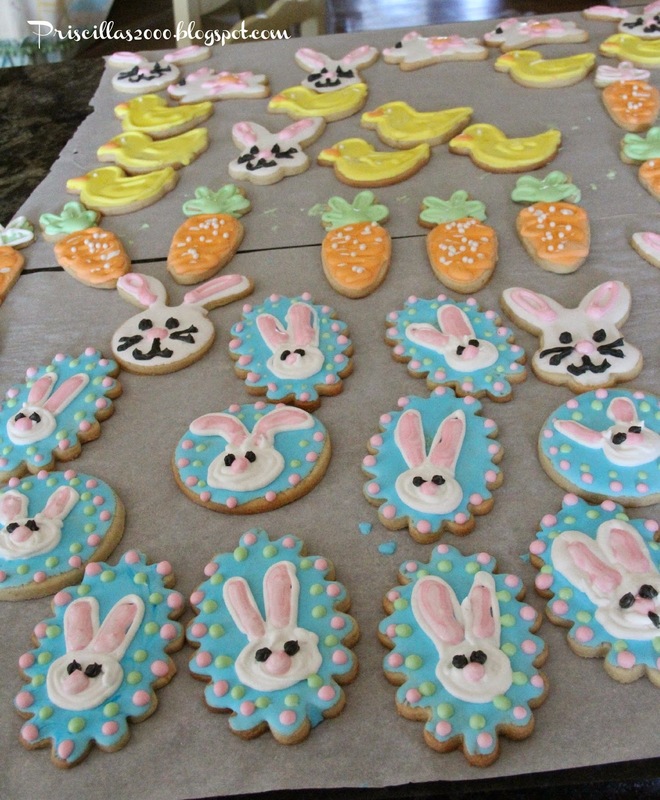 I got busy today and made some sugar cookies for Easter .. I didn't do a lot just one double batch of Mrs. Fields sugar cookie recipe.. I love all the Easter colors ! 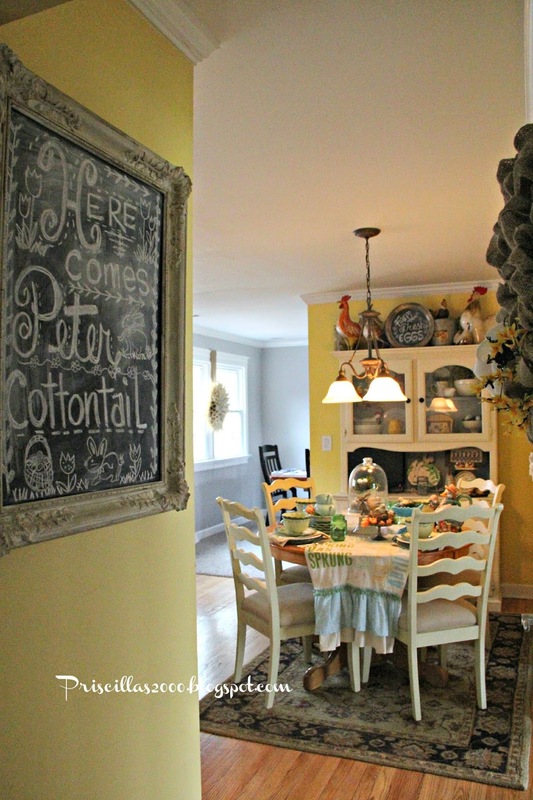 I am trying to decide what the next saying for the seasonal chalkboard will be.. Any suggestions ? The kitchen table is set with our everyday Pfaltzgraff dishes , and a little help from a couple Fitz and Floyd pieces. 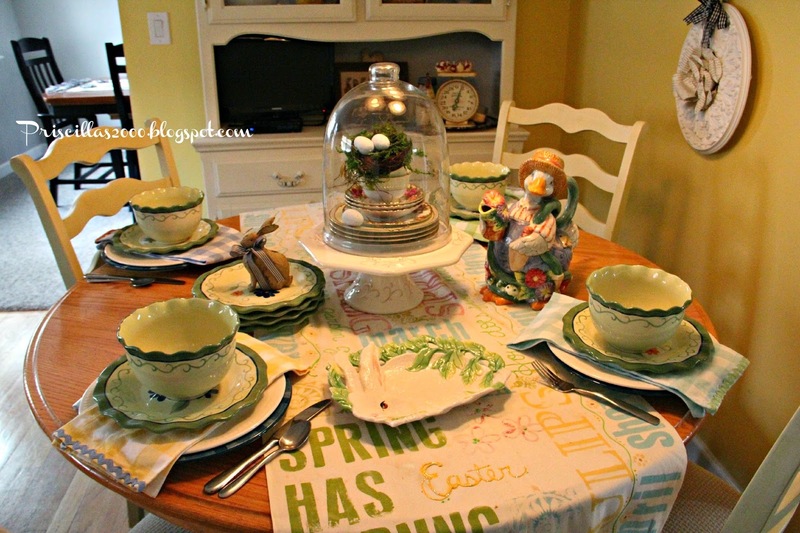 Under the cloche are some vintage family china cups and saucers.. a birds nest and some moss with eggs are resting in a cup..I used some cute gingham towels I got at an estate sale for napkins.. They are all different spring colors. Hope you all have a wonderful Easter ! Thanks so much for stopping by ! I would love for you to follow me on Instagram, Facebook and Pinterest , Etsy..all the links are in the sidebar ! Thanks for posting(seen them on That DIY party)!! 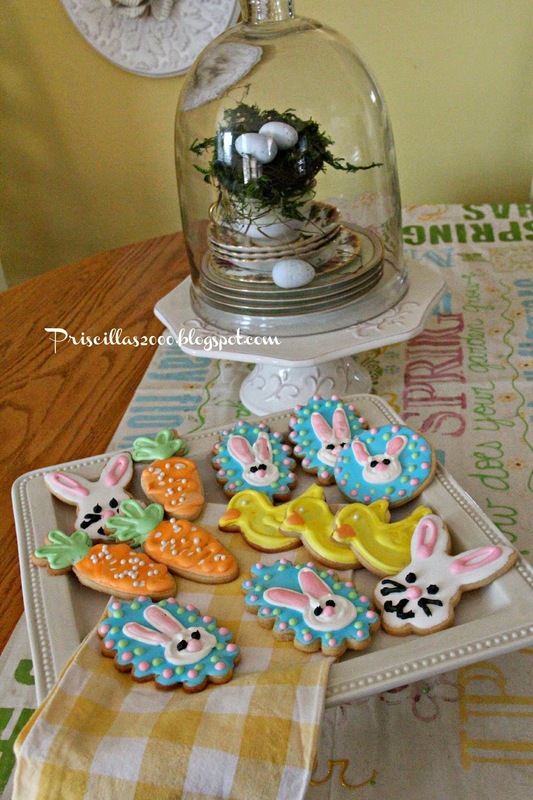 I agree with the others.....you're cookies ALWAYS look great. What icing do you use? Buttercream? And your decorations are soooo perfect as well!!! HA I am not surprised to find cookies here that put the rest of the worlds to shame, lol! 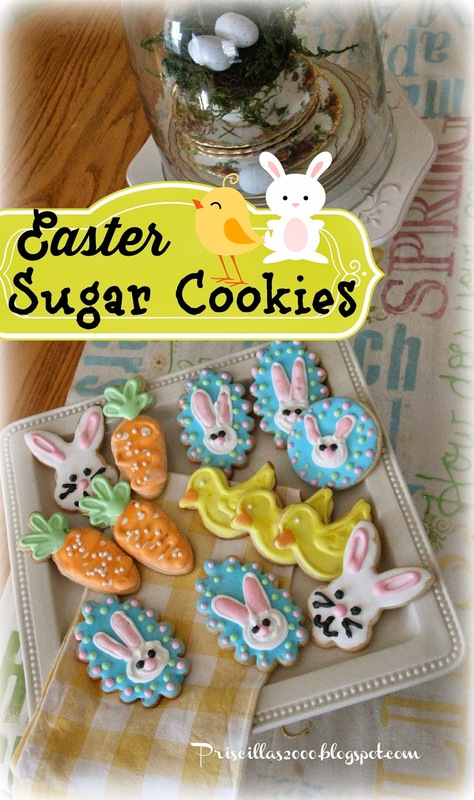 Those are some pretty little cookies! And I love your chalkboard. I'd have a hard time erasing it! 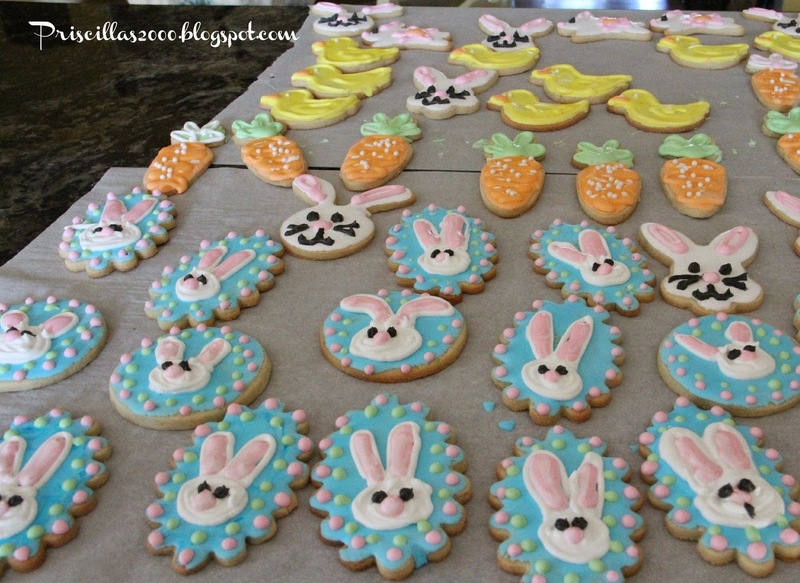 Oh my friend, you and your fabulous cookies really need to open a bakery! Beautiful table too Priscilla. Thanks for sharing with SYC.